How many times have you plated a race horse with shelly, thin walled hooves and wished you had a thinner nail with a strong neck and a head that fitted seamlessly into the racing plate crease? 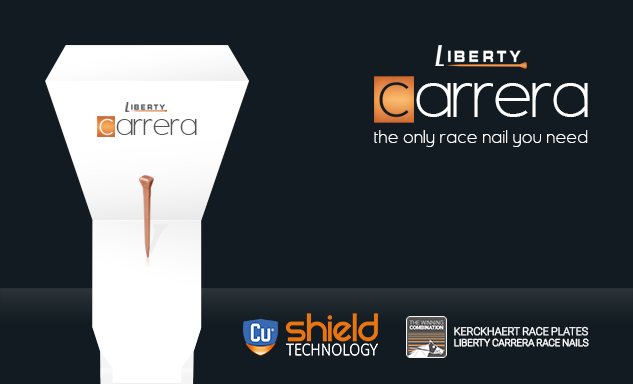 Liberty Carrera is an innovative race nail, that combines a unique, patented neck design with a super slim shaft, which ensures a seamless fit and reduces nail movement. 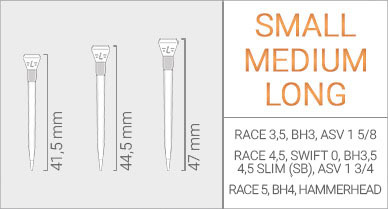 It is excellent for plating race horses with shelly, thin walled hooves and a great alternative to more than 10 different styles and sizes of race nails currently on the market. This makes Liberty Carrera the only type of race nail a race plate farrier needs to carry. 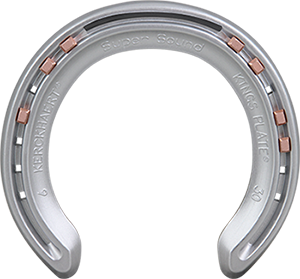 Liberty Carrera horseshoe nails are available both as traditional (steel) and with the additional option of Copper (Cu) Shield Technology™.